Tanks: 12" x 52" each. 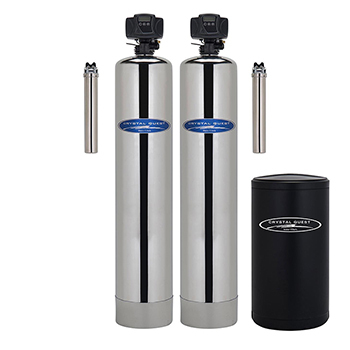 Dual Tank Whole House Water Softener and Iron, Manganese and Hydrogen Sulfide removal Water System. 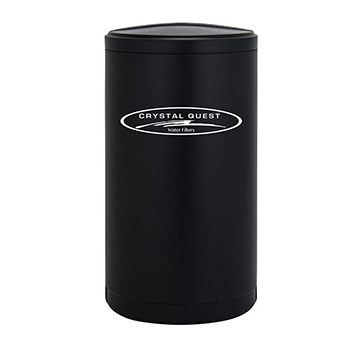 Designed to remove hardness, iron and rotten egg smell for both city and well water. 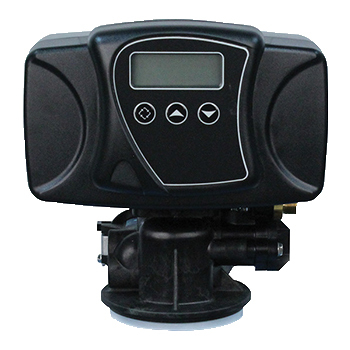 Tanks come with automatic controllers and will backwash themselves on scheduled intervals. 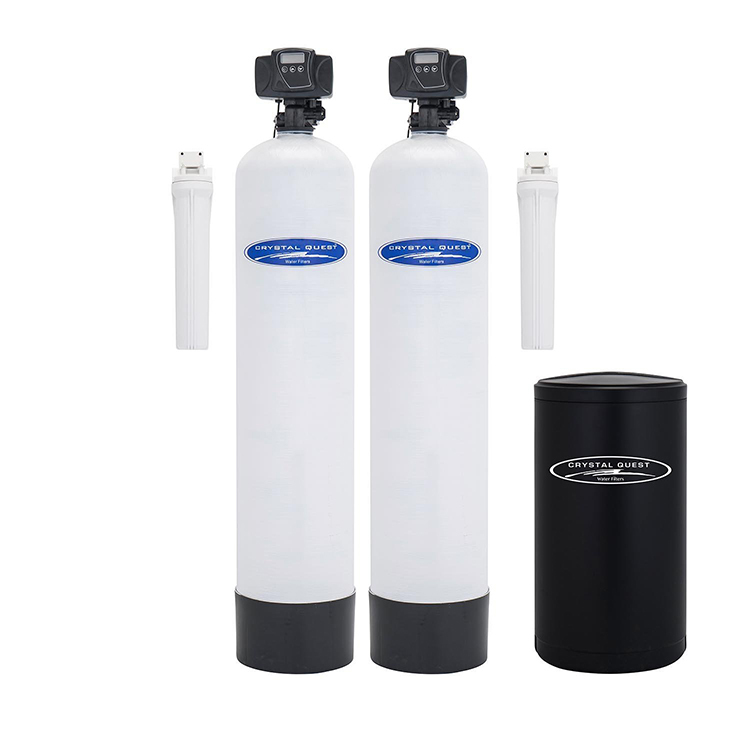 In First stage, water flows through a 20" sediment filter cartridge that removes sediment, silt, sand and dirt. 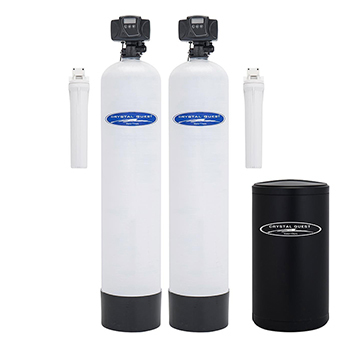 Also extends the life of the water softener, water filters, and prevents damage to control valves or pumps. In Second stage, water flows through a media tank that contains Iron, Manganese and Hydrogen Sulfide (rotten egg smell) removing media. Tank comes with a Fleck controller for automatic back-washing. In Third stage, water flows through an ion exchange media tank which removes calcium and reduces hardness (water softener). 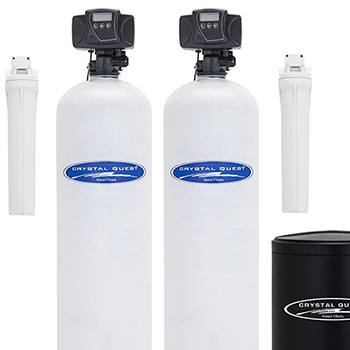 An automatic Fleck controller and a brine tank for regeneration is also included. In Fourth stage, water flows through a 20" solid carbon cartridge for removing volatile organic compounds (VOC's), insecticides, pesticides and industrial solvents. Fiberglass mineral tank #1, filled with Manganese, Iron and Hydrogen sulfide removing media. Mineral tank #2, filled with a high capacity ion exchange resin and brine water conditioner. 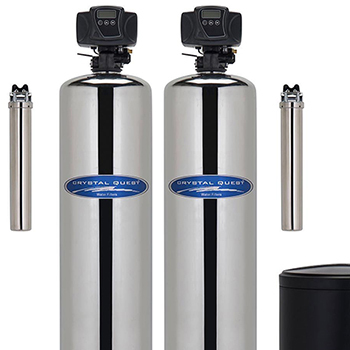 Warranty: 1 year on the system, 5 years on Backwash controller, 10 years on the tanks.